The Pulaski Braves were on the verge of a league title and they put the ball in the hands of Travis Dunlap to preserve the sweep, according to The Pulaski Southwest Times. Dunlap induced a ground out and got a strikeout to close out the Pulaski win. It was Dunlap's fifth save of the year, The Times wrote. "I wasn't nervous," Dunlap told The Times. "When I first went out there, I was a little pumped up. But after a couple pitches, I was unusually calm. It was just great to have a part in winning the championship game." Dunlap helped win that championship in his second pro season. He went on to play in three more seasons. He never made AA. 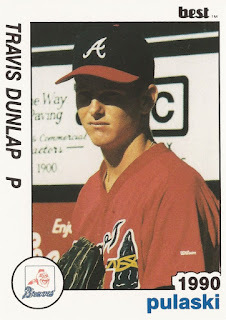 Dunlap's career began in 1990, taken by the Braves in the 52nd round of the draft, out of Calallen High School in Corpus Christi, Texas. Dunlap played his first season at rookie Pulaski. He got into 17 games, starting four. He had one win and two saves, recording a 3.83 ERA. He returned to Pulaski for much of 1991. Dunlap got 13 relief outings there, with a 2.54 ERA. He also gout four outings, three starts, at rookie Idaho Falls. He gave up 13 earned in 11.1 innings with Idaho Falls. 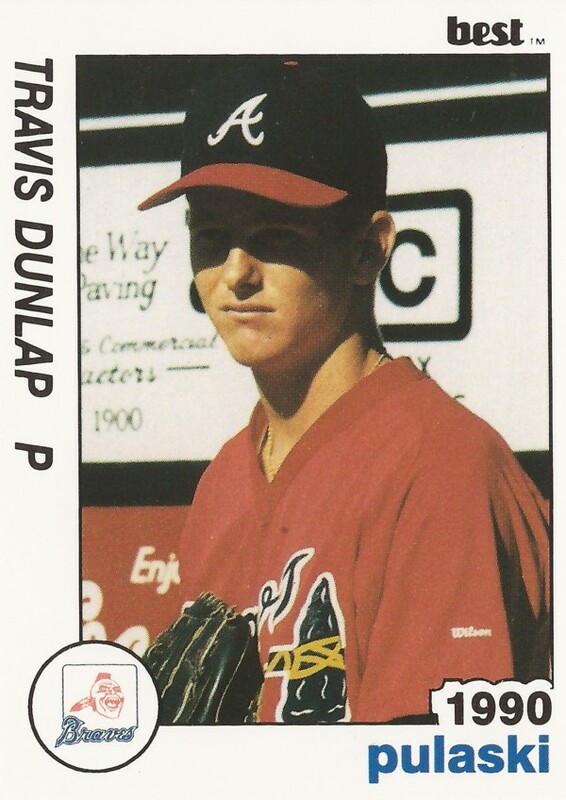 Dunlap's final season with the Braves organization came in 1992 at single-A Macon. He got into 38 games there, starting five. His ERA came in at 3.61. Dunlap isn't credited as playing in 1993, but in 1994 he signed with the Royals and got 16 outings at high-A Wilmington. He had a 3.47 ERA. He also played that year at home in Corpus Christi, getting 22 outings there, eight starts. He went 6-2, with a 5.59 ERA. He returned to Corpus Christi for 1995. He went 5-4, with a 5.25 ERA. It was his final season as a pro. Pulaski Southwest Times, Sept. 1, 1991: Pulaski Braves win Appy League pennant!